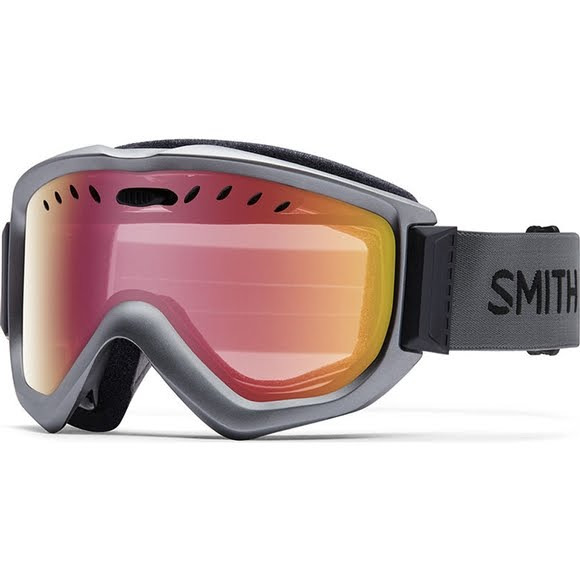 Smith's Knowledge OTG Snow Goggle features exceptional fog prevention, comfort, and fit for eyeglass wearers. Smith&apos;s Knowledge OTG Snow Goggle features exceptional fog prevention, comfort, and fit for eyeglass wearers. An optically precise, spherical lens for superior clarity and impact resistance. A proprietary, silicone based hardcoated lens provides unsurpassed scratch and abrasion resistance while a hydrophobic coating reduces fogging and smudging as well as increasing scratch resistance. Regulator ventilation comes standard in this lens. Patented Regulator adjustable lens ventilation system in the Spherical and Regulator Series provides added control of airflow through the goggle. Use the open position while stopped in line or on the lift to increase the circulation of dry, fresh air. Close it before descending to prevent tearing.